Anonymous; Anonymous, English; Christmas Traditional; English Traditional; John Rutter; Scottish Traditional;... Very Good. In very good packaging. 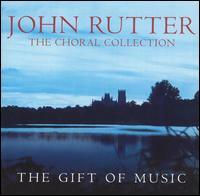 The Cambridge Singers John Rutter-The Choral Collection by The Cambridge Singers John Rutter. Anonymous; Anonymous, English; Christmas Traditional; English Traditional; John Rutter; Scottish Traditional;... New.